This game has a subscription fee of 12 to 14 dollars monthly. If you buy the base game and the expansion then it comes with one month free. If you think that the sub fee might be too high for a game you may not like then try the free 14 day trial. The trial allows for you to level all the jobs level 35 which should give you a good feel for the game and world. The game also has different data centers that cater to the US, Japan and Europe. Players should check and see which data center is closest to them before making a character to reduce lag and ping. FF14 is available on PC, PS4/PS3 and Steam. All of the platforms play together so the community is whole. If players want to play the game on their computer there are two versions of the game via Steam and Windows. If players buy the game on Steam then they will be locked into buying future expansions through Steam. The Steam and Windows version are not interchangeable. If players want to play the game across different platforms they have to buy the base game and expansion for each platform. PS4/PS3 players DO NOT need to have PS Plus to play the game online. PS3 support will be dropped when 4.0 releases but there is a free upgrade campaign until the end of 2017. The name of this MMO is not just for show. You will find Moogles, Chocobos, Cactuars and the iconic jobs like Dragoon, White Mage, Dark Knight and soon Red Mage in the game. There are also veteran rewards of the Warrior of Light, Squall, Cloud and Zidane’s costumes for a continuous sub. The story is epic, cinematic and expansive so FF fans will be fulfilled. The Gold Saucer exists in the game and houses Triple Triad, Chocobo Racing and other FF staples. I mentioned the jump potions earlier and the main reason against their implementation is due to the story. The lore in this game is rich and continuous to the point where a lore book was just released to explain some of it. All players should understand that a lot of content is gated behind the story. In the A Realm Reborn (or 2.0) era the pacing of the story was a bit rife with fetch quests. They have cleaned it up in Heavensward (or 3.0) but if you stick with it you won’t be disappointed. While they are working on Player versus Player (PVP) content it is not as popular in FF14 but has a dedicated community. The jobs are separated into the trinity so it would be best if the player did a bit of research before choosing their class/job. One character can play all the classes/jobs in the game so if you made a mistake in the beginning you can always change it later. This is an action MMO but not in the way of say World of Warcraft and Blade and Soul. The attacks are on a 2.5 global cooldown (GCD) which may be a slog in the beginning then as you get more skills that won’t seem like enough time. They implemented the Novice Network, the Recruit a Friend Campaign and the Hall of the Novice to assist new players figure out their jobs and find mentors to help them through the game. The first 50 levels serve as a tutorial to teach some of the mechanics of the game so if you’re a veteran MMO player it may seem repetitive and “hand holdy”. There are also numerous podcasts like State of the Realm, Mogtalk, Limit Break Radio (if you dare XD) as well as Youtube content creators like Mizzteq and Mr. Happy to name a few to give more insight into the game. I would even recommend watching a Twitch stream to see the game in action. I would also check the r/ffxiv reddit page and ask questions in the megathread if confused in the game. While this may not help players too much if they want to make friends or retain their spot in a Free Company, the FF14 version of guilds, it is ideal for a player with a busy life. A lot of the content can be completed solo and if you do need to group up for a dungeon, the game can find other players for you via Duty Finder. Gone are the days of waiting hours to find a group. That can still happen in the Party Finder which is the in game version of Looking For Group (LFG) shouts. There are a million more things I could have included so if you have any other questions feel free to leave them in the comments section. I have played the game for about 2 years so there isn’t much that I don’t know about the game. And if I’m not sure about it I can point you in the right direction. Have you played an MMORPG before? 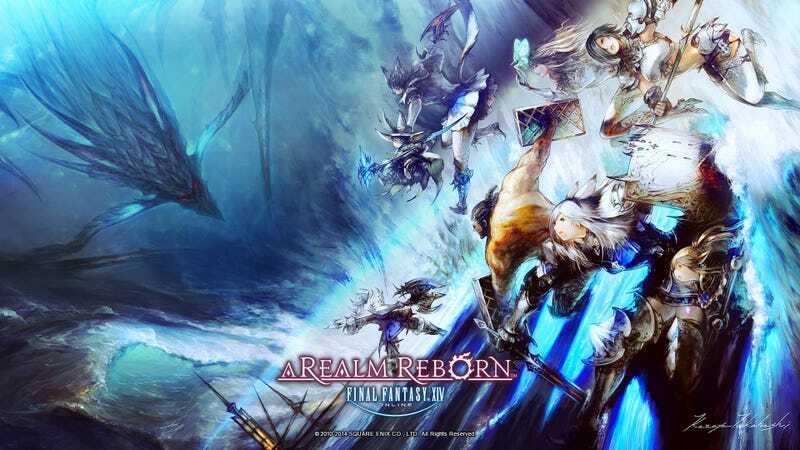 Have you played Final Fantasy 14 before? What do you think about any of the MMOs you have played. Let me know in the comments below. Edited for grammar and to add links. Edit 2: Added clarification about the Steam and Windows versions of the game. Thanks to all who commented. Final Fantasy 14 is own by SquareEnix. All photos were retrieved from the official FF14 website and Fankit.